All posts tagged "professional skincare"
Make 2016 the year you resolve to start growing younger! The key to taking years off your appearance is to make a conscious decision to consistently include healthy skincare habits in your daily routine. Here are 5 New Year’s skincare resolutions that can help you look and feel more vibrant and beautiful. In the hands of a rigorously trained aesthetician, a monthly deep-cleaning facial lays the foundation for clearer, more radiant skin. 1. Always wash your makeup off before going to bed-Even “all-natural” mineral makeup contains other ingredients that can clog pores and irritate sensitive skin. 2. Never wash your face with soap or harsh synthetic cleansers-A gentle cleanser made with plant-derived ingredients protects the integrity of the skin’s acid mantle, preventing bacteria and other contaminants from penetrating the surface. Look for mild cleansing agents like coco-glucoside, as well as for glycerin and other vegetable emollients and soothing anti-inflammatories such as olive leaf and aloe vera. 3. Use a full-spectrum sun protection every day-Even though the UVB rays that cause sunburn are weaker in the winter and on cloudy days, UVA radiation keeps going strong regardless of the weather. UVA rays reach the deeper layers of the skin, causing the bulk of the damage that results in visible aging. For full spectrum coverage without potentially irritating or unsafe chemicals, use a mineral sun block made with zinc oxide or titanium dioxide. Opt for a cream rather than a spray or powder to avoid the risk of inhaling the tiny mineral particles. 4. Get plenty of antioxidants-inside and out-To resist and recover from free radical damage, skin cells need more help than even the best mix of topical antioxidants can provide. Internal support from antioxidant-rich whole foods is absolutely vital. Be sure to include regular servings of foods such as berries, walnuts, red beans and pinto beans, kale, spinach, grapes, and plums in your diet. These anti-aging superfoods help optimize functioning of not only the skin, but also all the other organs that support skin health. Skincare products that contain plant-based ingredients like white tea, red algae, sea buckthorn, and the antioxidant vitamins C and E provide a rejuvenating “meal” for your complexion. 5. Invest in professional organic facials-Sparkling clean skin is a major beauty asset for women of every age. A skilled aesthetician knows how to gently extract the contents of pores and remove whiteheads without causing scarring or infection. Trusting these delicate procedures to an experienced professional is a must! A facialist who’s trained in traditional European aesthetics is a particularly valuable resource. She can advise you on the best salon treatments, homecare regimen, skincare products, and dietary practices for your skin type. You can also rely on her to use safe, effective organic ingredients in your facial treatments. The fresh rosy glow she can bring to your complexion with an expert facial massage is yet another plus. For women in their twenties, a pore-cleansing facial once a season is usually sufficient. Women over thirty should shoot for once a month. Regular visits to an aesthetician who’s truly passionate about healthy skin and consistently dedicated to your beauty goals is a smart long-term investment. With the right combination of services, advice, and support, you’ll see increasingly significant improvements in your complexion over time. The luscious scent of honeysuckle isn’t all this delicate bell-shaped bloom has going for it. Lonicera caprifolium flower extract has been a staple of traditional Chinese medicine for almost 2,000 years. Ancient herbalists relied on honeysuckle to treat a host of ailments, including fevers, rheumatism, skin ulcers, sore throats, and appendicitis. Today’s scientists attribute honeysuckle’s healing effects to its high chlorogenic acid content. A powerful antioxidant also found in coffee, fruits, and vegetables, chlorogenic acid helps fight free radical damage caused by UVA exposure, promote healthy circulation and reduce inflammation, and heal fungal and bacterial infections. With all these beneficial qualities, its not surprising that honeysuckle has a long and distinguished history as a cosmetic, too. A book about the 19th century Chinese Dowager Empress Cixi describes her applying honeysuckle extract to her face to moisten and firm her complexion. The honeysuckle extract in my LaVie Organique™ Original Formulas does double-duty as a syngergistic anti-aging ingredient and a safe natural preservative. Like everything else in my professional skincare product line, this fragrant botanical extract contributes to an effective and elegant experience for your skin. A Holistic Health Hint: In China, honeysuckle tea is a popular health tonic believed to promote longevity, calm worries, and brighten the eyes. For an easy, fresh-from-the-garden version, just steep a cup of the flowers in a quart of water to 10 minutes—and drink to your health! Can an Apple a Day Keep Age Spots Away? While freckles or age spots may bother us, in the majority of cases, they’re perfectly harmless. As I explained in my last post, blotchy areas of darkened skin are most often the result of an interaction between solar radiation and the type of melanin cells we’ve inherited. Facial hyperpigmentation may also signal natural hormonal changes. Melasma, “the mask of pregnancy,” is one such benign condition that occurs in approximately 65% of expectant mothers. Nevertheless it’s important to be aware that not all brown spots are normal. Some may indicate serious health problems. A dark spot with irregular borders could, for instance, be a malignant melanoma. Among the many other serious diseases associated with hyperpigmentation are Addison’s disease, lupus, scleroderma, and diabetes. Any change in skin pigmentation that comes on suddenly or looks unusual warrants a visit to your physician. If your areas of hyperpigmentation are the natural, normal kind, does that mean you just have to live with them? The fact is age spots are a stubborn—but far from hopeless—problem. While increased melanin production is the best-known contributor to the development of age spots, another culprit is implicated as well. Known as the “age pigment,” lipofuscin is make up of oxidized fat and other dark-colored wastes that accumulate in our cells as we grow older. Sun exposure and an unhealthy lifestyle also contribute to and hasten the buildup of these free radicals in aging cells. Scientific studies, including one on the effects of grape seed extract on lipofuscin formation, suggest that flavonoids, as well as vitamin E, and other antioxidants can help repair this damage. So what’s my prescription for age spots? An all-natural skin care regime that includes plant-based antioxidants and exfoliants and a mineral sunblock. With my full range of LaVie Organique™ skin care products—from the gentle daily cleanser to the revitalizing mask you get all that and more: sun protection from the soothing sea salt zinc oxide, the gentle exfoliating action of ground walnuts; pure, unprocessed tocopherol (vitamin E); anti- inflammatory flavonoids, such as eucalyptus leaf oil and white tea—and the most famous folk remedy of all time—apples. The remarkable organic compound that makes apples the perfect health food for your skin is malic acid, a potent antioxidant that’s also an alpha hydroxy acid (AHA). In my salon’s signature organic peels as well as in the LaVie Organique Exfoliating Mask, this double-duty skin rejuvenator helps refine the skin’s texture and restore a more uniform tone by stripping away the damaged outer layer of skin. Take advantage of the power of a professional skincare regime—at home or in the salon—and see for yourself what an apple a day can do for your skin. Many consumers still believe that animal cruelty is the price of human health and safety. However, the Food, Drug, and Cosmetics Act refutes the popular misconception that cosmetics must be tested on animals to comply with FDA safety regulations. In fact, the FDA strongly supports the development of cruelty-free alternatives to animal experimentation. Lavinia Borcau Quality Standards specifically forbid the use of animal testing to demonstrate product safety or effectiveness. To ensure this cruelty-free development strategy never interferes with the safety and quality of my all-natural skincare line, my exacting product standards require that the Lavie Organique Proprietary Blend of natural and certified organic ingredients comply with both Environmental Working Group and Natural Product Association guidelines. My belief in the gentleness and effectiveness of natural skincare is rooted in my traditional European heritage. Over the years as I’ve read the results of scientific studies on botanical ingredients and gained hands-on experience with plant-based professional skincare, my instinctive trust in the Old World beauty secrets of my Romanian grandmother has evolved into a firm conviction. By designing a personal skin care regimen that’s kind to your skin without hurting other living creatures, I’ve also stayed true to my holistic philosophy. As part of the natural world, we’re inextricably connected to the plants and animals that share our environment. By showing respect and caring for every part of this environment, we can achieve a more balanced lifestyle. The result is healthier body and mind—and the natural glow of genuine, lasting beauty. 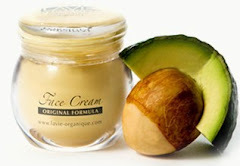 Organic Skincare for Sensitive Skin Part 4: Do Synthetic Moisturizers Deliver on Their Promises? Once you’ve evaluated the risk factors, there’s another important question about synthetic skin care additives that remains to be answered. How effective are they? Let’s start with a closer look at the world’ favorite moisturizer and all-purpose skin remedy: petrolatum jelly. Generations of consumers have relied on this sticky ointment to moisturize, soothe, and protect sensitive skin. Although petrolatum is often promoted as a remedy for sunburn, diaper rash, and dry, irritated skin, its physical properties actually worsen these conditions. In fact, this semi-solid mixture of hydrocarbons actually repels moisture. Furthermore, physicians have shown that our skin can’t absorb petrolatum. The thick barrier this gooey substance forms on the skin may help keep germs out of wounds, but it also seals in the heat generated by any type of burn. Petrolatum jelly’s promise as a moisturizer is equally deceiving. Instead of the soft, dewy skin this product supposedly ensures, petrolatum leaves you with a greasy film. Other petroleum derivatives such as mineral oil—the main ingredient in baby oil—produce a similar effect. What about propylene glycol? Unlike petrolatum, this additive can penetrate the skin surface. Propylene glycol is a humectant, a type of chemical whose molecules attract and easily bond with water molecules. Theoretically, then, propylene glycol should be a good skin moisturizer. But these two facts don’t tell the whole story of this widely used wetting agent and solvent. When humidity drops, propylene glycol tends to draw moisture from the lower layers of the skin instead of from the surrounding air. The ultimate result to your skin is increased dryness as well as irritation. So why do cosmetic companies love these ingredients so much? The most likely reason is economic: Both petrolatum and propylene glycol are cheap. The superiority of plant-based oils as skin moisturizers comes from a simple fact of nature: Botanical oils resemble sebum, the natural moisturizer found in our skin. One of the most effective of these plant-derived moisturizers, Aloe vera 200x, is an extract of a well-known succulent plant species. The water-retaining tissue of succulents enable these plants to thrive in the parched atmosphere of desert climates. Anyone who’s ever seen and touched an aloe vera plant’s sleek, juicy leaves has firsthand evidence of it’s amazing emollient and revitalizing properties. To meet Lavinia Borcau Quality Standards, the Aloe vera 200x used in La Vie Organique™ Original Formulas must meet or exceed the Natural Product Association safety guidelines, as well as my own exacting criteria for professional skincare performance. So you’re assured of the highest levels of quality, purity, and safety. In my next post, I’ll explain more about aloe vera’s power to enhance the health and beauty of your skin. It is one of the largest organs in your body, covering 12-20 square feet. Your skin reflects beauty and sensuality, and provides the sense of touch and pleasure. Your skin even shows emotions as you grow pale with fear of red with embarrassment. Your skin provides protection from the environment, and helps to regulate body temperature either by using the contraction of fine muscles in the deep layers of the skin to retain heat – we’ve all had “goose bumps” – or by using sweat to cool. We can enjoy all these important functions of the skin as long as it is nourished well and maintained properly. Just like any other organ, the skin derives nourishment from food and may be damaged by toxins. Toxins result as the byproducts of normal biological activity, but they may also be ingested as chemicals. Your skin is a reflection of how efficiently nutrients are being supplied to the body and how efficiently waste is being removed. Your skin reflects your diet, and waste products that are retained in the body. Your skin not only conveys your physical health, but also your emotional, mental, and spiritual states. Because the skin exfoliates and replaces itself about every 27 days, a healthy skin can be obtained fairly quickly with care and attention. Local work. Professional skin care treatments include facials, organic peels, microdermabrasion combined with an effective in-home skin care regimen – a daily and weekly routine which includes masks, serums, creams, etc. To begin to understand the method of obtaining beautiful skin, we need to understand more about the skin’s properties. We hear a lot in natural healing circles about how it is good to maintain an alkaline environment in the body. While this is true of the blood, the skin is naturally acidic on the surface. One way the body maintains its internal alkaline environment is by displacing acid to the skin. The acid forms a waterproof protective barrier for the skin. – It serves as a protective layer. – It prevents the growth of bacteria and fungi on the skin. – It protects from harsh elements such as sun and wind. – It creates a healthy glow by retaining moisture in the skin. – It waterproofs the skin and hair. A key idea to understand is that your skin is naturally acidic. The acid mantle provides protection from the elements and retains moisture.